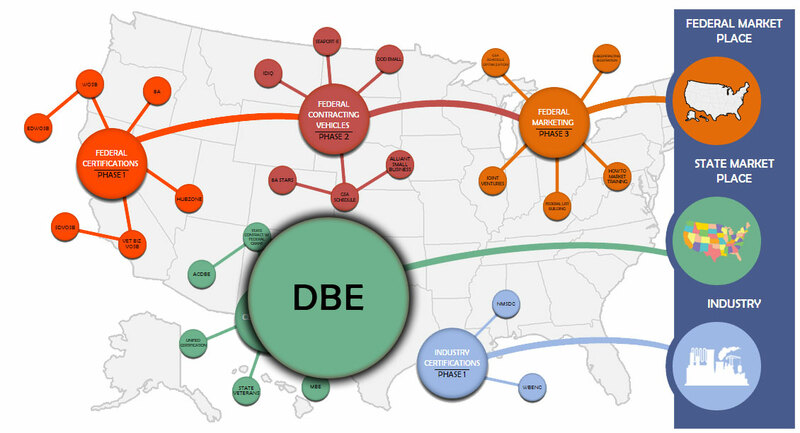 For all states the Disadvantaged Business Enterprise (DBE) process is similar. This is because the DBE program is a federal program that is administered by the 50 US states. The firm must register individually with each state as a DBE in order to be certified with that state. The process for obtaining a DBE certification is similar to the 8a certification process with many of the same restrictions for certification. The business owner will be checked for independence in making decisions for the firm. The business owner must also be active in the day to day operations of the firm. Most states utilize their department of transportation for certification because the majority of work in which DBE’s perform is working on roadway construction, airport services and airport construction. 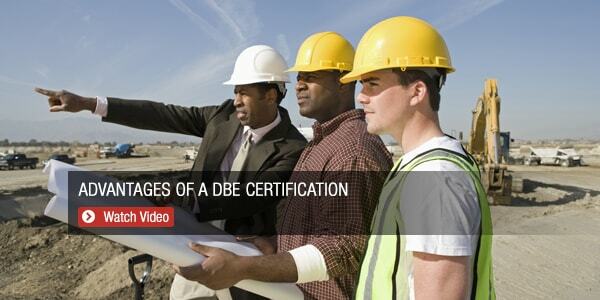 The following are some of the criteria that are key elements for becoming DBE certified. Qualifying Owner’s Personal Net Worth Limit: Less than $1.32 million excluding primary residence and the value of the business. Less than $750,000 excluding primary residence and the value of the business. For airport concessions this amount is increased to $3 million. Type of Business Any for-profit business that is independent working as either a primary or sub contractor. Any for-profit business that is independent working as either a primary or sub contractor. Participation Goals DBE goals are set on a per contract basis. ACDBE goals are set on a per contract basis. We ask you over 75 questions in a free initial consultation to insure we do not waste your time or energy on a project that does not have a high likelihood of success. We will send you a checklist of the items that we need in order to complete your DBE application. We have a team of analysts who will work on your DBE application immediately upon submission to us. Submitting the document checklist to us will immediately get your DBE application moving towards certification. We will very thoroughly inspect every item you submit for any potential problems. The DOT at most states has strict Federal Guidelines they must follow in order to complete your application. We will communicate with you (by e-mail and phone) all the way through the DBE application process so you will never be left wondering where your application is in the process. A professional writer conducts interviews with you to prepare the economically and socially disadvantaged narrative(s) if required. These narratives can make or break a DBE application. We will compile the entire application; double-checking all documents to be submitted to be certain it meets all DBE guidelines. The DBE application package (usually 3-4 inches thick) will be provided in a binder with a table of contents, tabs for every DBE section. The package is accompanied by a cover letter. Finally, we will label all the locations in the DBE application where a signature is necessary and will send the completed DBE package to you so you can sign and forward it to the SBA. When we send it, your DBE certification application is ready for the State DOT to review.